Aah finally an award to egg you on to blog more and get connected to other bloggers! 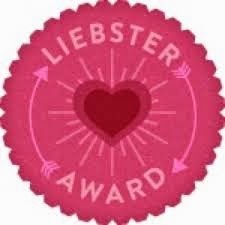 Lavinia Lynch has nominated me for Liebster Award. Lavinia Lynch blogs at Recipes for busy Mums and being a new mum on the block I can perfectly relate to her idea of quick recipes for busy mums. This award means much more to me than just accepting, putting up a badge and nominating fellow bloggers. It's difficult to manage home, an eight month old baby and then try and find time for blogging. It's still an honour and am going to accept my award. 1) I hate eating mangoes. 2) I love the fact that I have curly hair. 3) I can spend hours reading books. 4) I am a no makeup person. 5) I can sound rude at times because of my straight forward nature. 6) I love getting drenched in heavy rains. 7) I am a lazy cook, instead would love cleaning my home. 8) You will never find synthetic clothes in my wardrobe. 9) I can spend my whole life just eating rice. My love for writing is my inspiration. Also people in my life do serve as an inspiration to me. At the moment it's a hobby. But would love to blog much more. My biggest supporters are my friends, who enjoy reading my blog and tell me to keep going. The thing which I enjoy the most about blogging is the fact that it comes naturally to me. OMG! I become hyper and end up messing everything instead of getting things done. Uumm, firstly I would save some for my son's future and then would donate the remaining amount to a charity of Cancer patients. I have seen many cancer patients in my Friend circle and can relate how hard it is to fight with cancer and keep your spirits up at the same time. The Alchemist by Paulo Cohelo was the book which has moved me and makes me believe that dreams are to be chased and things which happen twice are destined to happen for the third time. I would like to see myself blogging more and more in next couple of years. Nope do not wish to disclose. I think it's too early for me to give advice to others in terms of blogging. "Nominees it is your turn to answer the questions and award some blogs if you are willing. Answer the above questions in your own blog post and then nominate some of your favorite blogs that have fewer than 200 followers (it can be whatever kind of followers you like - I used G+ followers and Twitter). You can either make up a new list of questions for your nominees or just use the ones I have used. Leave a comment on your nominee's blog so that they know that they were nominated! Include a link back to your post so that they know what to do. Participating in awards like this is a great way to build your community in the blog atmosphere and connect with other bloggers."